Powerfully posing questions of ethics, ideology, authorship and form, documentary film has never been more popular than it is today. Edited by one of the leading British authorities in the field, The Documentary Film Book is an essential guide to current thinking on documentary film. Powerfully posing questions of ethics, ideology, authorship and form, documentary film has never been more popular than it is today. Edited by one of the leading British authorities in the field, The Documentary Film Book is an essential guide to current thinking on documentary film. Powerfully posing questions of ethics, ideology, authorship and form, documentary film has never been more popular than it is today. 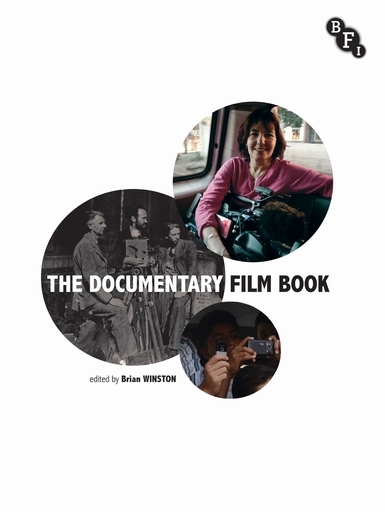 Edited by one of the leading British authorities in the field, The Documentary Film Book is an essential guide to current thinking on documentary film. In a series of fascinating essays, key international experts discuss the theory of documentary, outline current understandings of its history (from pre-Flaherty to the post-Griersonian world of digital 'i-Docs'), survey documentary production (from Africa to Europe, and from the Americas to Asia), consider documentaries by marginalised minority communities, and assess its contribution to other disciplines and arts. Brought together here in one volume, these scholars offer compelling evidence as to why, over the last few decades, documentary has come to the centre of screen studies. Powerfully posing questions of ethics, ideology, authorship and form, documentary film has never been more popular than it is today. Edited by one of the leading British authorities in the field, The Documentary Film Book is an essential guide to current thinking on documentary film. In a series of fascinating essays, key international experts discuss the theory of documentary, outline current understandings of its history (from pre-Flaherty to the post-Griersonian world of digital 'i-Docs'), survey documentary production (from Africa to Europe, and from the Americas to Asia), consider documentaries by marginalised minority communities, and assess its contribution to other disciplines and arts. Brought together here in one volume, these scholars offer compelling evidence as to why, over the last few decades, documentary has come to the centre of screen studies.